Prepare, expand and enhance with CDR's new comprehensive obesity interventions training program featuring interactive sessions and evidence-based techniques. Prepare yourself to better assist your clients in their weight management journey. Expand your leadership knowledge to help advance your weight management practice. Enhance your knowledge in the evolving climate of weight management strategies. 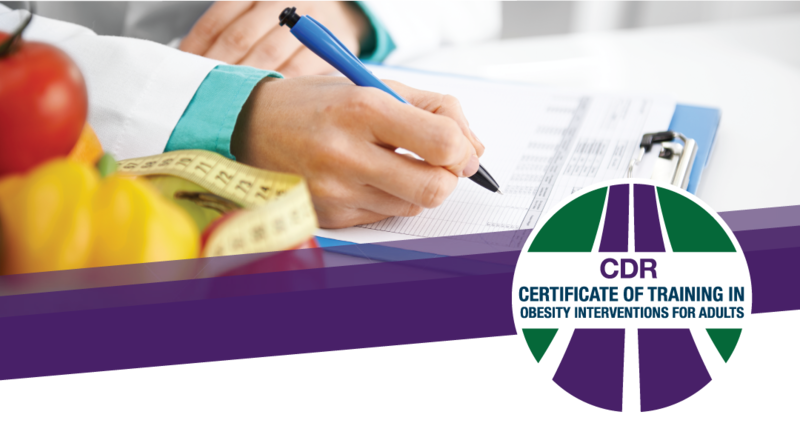 Required successful completion of pre-work materials and assessment test that will prepare you for the face-to-face workshop, focusing on foundational concepts in weight management science and evidence-based practice. The face-to-face workshop will focus on experiential learning activities and will develop your critical thinking and problem-solving skill set. Successful completion of a take-home post-test is required to earn your certificate. Post-workshop, participants will have the option to develop personal practices to enhance the knowledge gained from the pre-work materials and face-to-face workshop into every day practice. CDR credentialed practitioners—RDs and DTRs. Active, Student, International and Retired category members of the Academy of Nutrition and Dietetics. Program registrations will not be processed until these requirements have been verified. Unable to attend the face-to-face workshop? Consider the Obesity Interventions for Adults Online Course.